Life goes on for some Syrians inside a refugee camp, but they worry their children might lose any link to home and family left behind. Over the past five years of Syria's civil war, tents have given way to sturdy shacks in Jordan's Zaatari Refugee Camp. 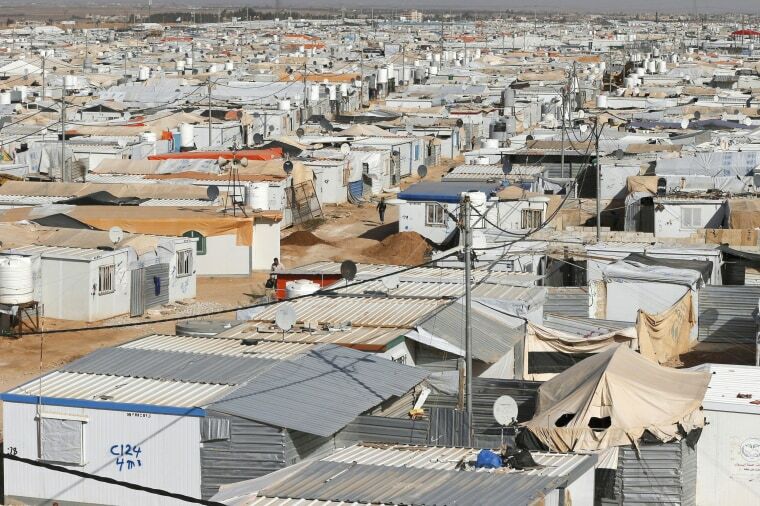 Zaatari has mushroomed to a settlement of 85,000 refugees, becoming Jordan's fourth largest "city" by population. Above, an overview of Zaatari refugee camp in Mafraq, Jordan near the border with Syria on March 7, 2016. 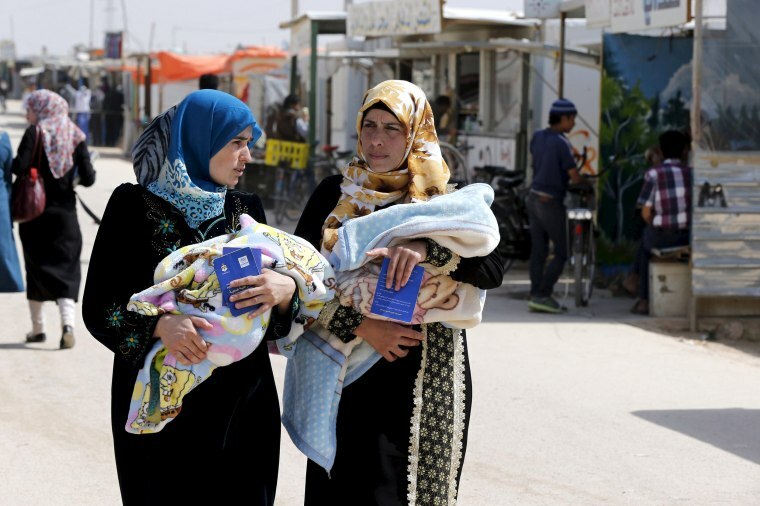 The United Nations refugee organization UNHCR estimates that 50 to 80 children have been born in Zaatari each week since the camp was established in 2012. Above, Syrian refugee women carry their babies as they walk through Zaatari refugee camp in Mafraq, Jordan on March 8, 2016. 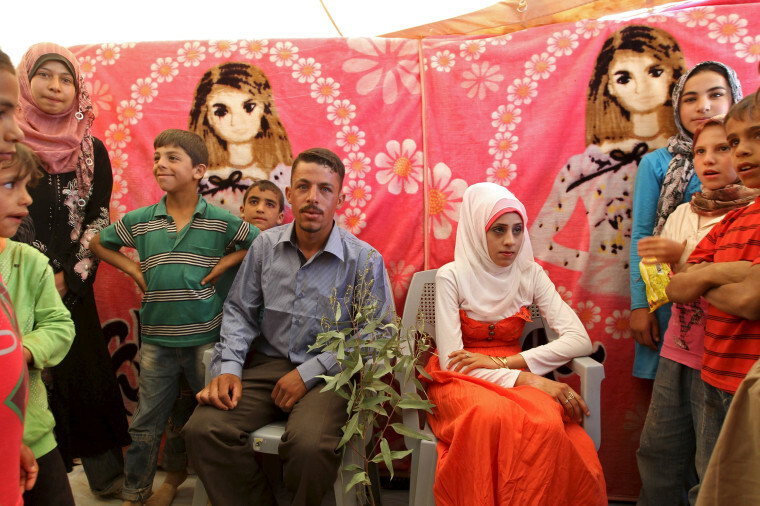 Syrian refugees Hudhayfah Al Hariri, 23, and bride Hanan Al Hariri, 20, sit during their wedding in the Zaatari refugee camp in Mafraq, Jordan on September 9, 2012. The young couple had planned to marry in Hudhayfah's hometown. Their apartment was furnished. But as shelling mounted they were forced to flee. Now the Hariris have two children. 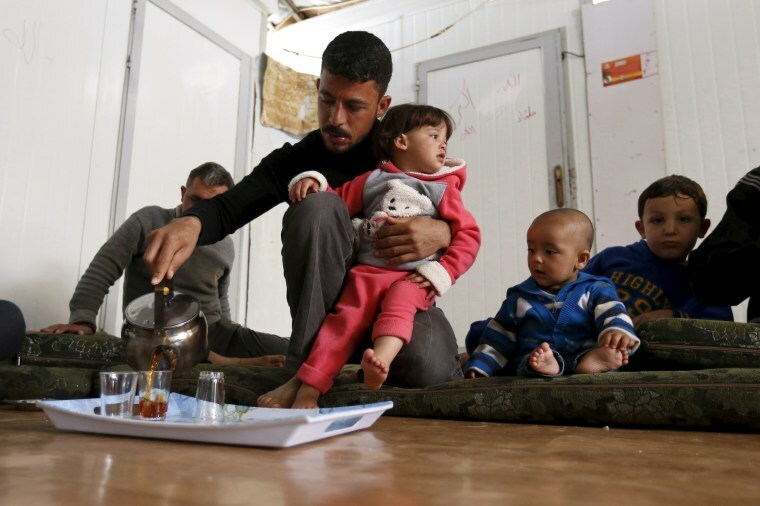 Above, Hudhayfah Al Hariri sits with his daughter Retaj, 2, and eight-month-old son Yaman, second right, as he pours tea at home in the Zaatari refugee camp on March 7, 2016. 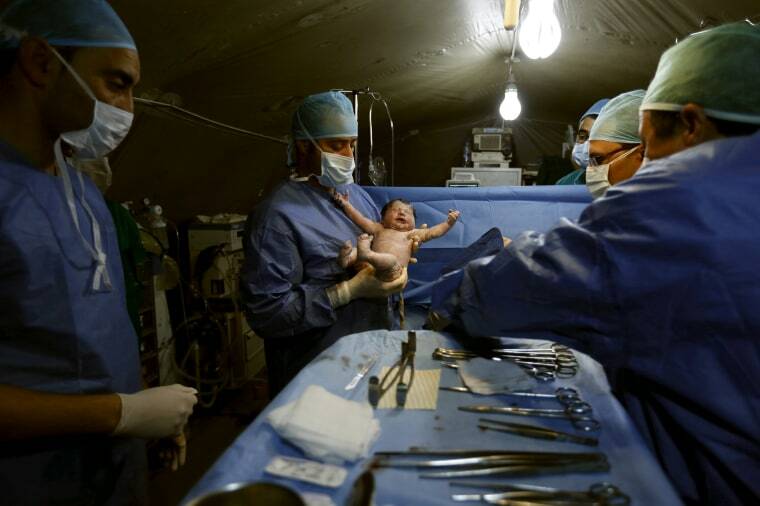 Moroccan doctors carry a Syrian baby, Siwar. 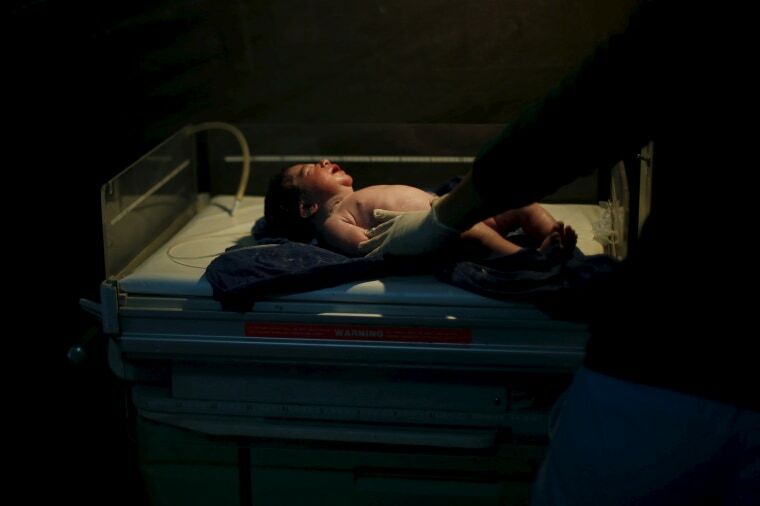 Siwar was born by caesarean section in a field hospital in the Zaatari refugee camp on March 7, 2016. 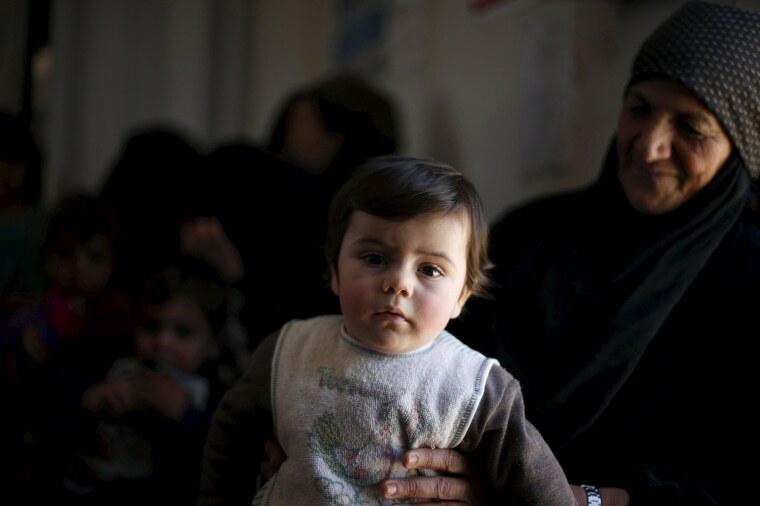 She is the third child of a Syrian family from Daraa who fled to Jordan two years ago. 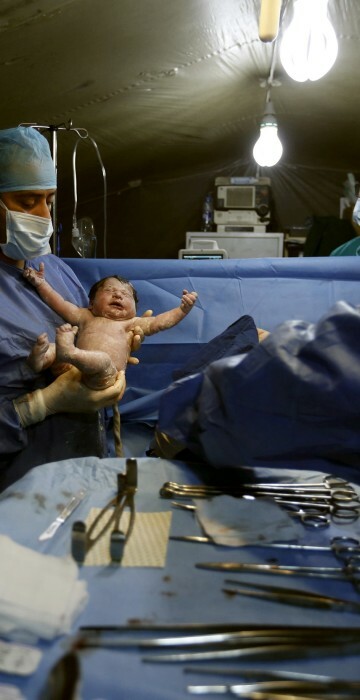 A doctor checks Siwar after she was born on March 7, 2016. Siwar's mother Um Rimas, 22, said her greatest sorrow was that her parents had not met their grandchildren. 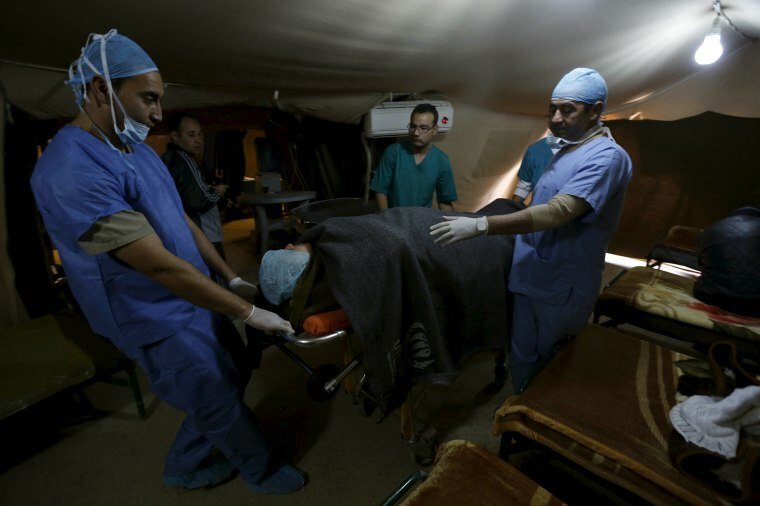 Doctors move a Syrian woman after her caesarean section in a field hospital in the Zaatari refugee camp on March 7, 2016. Siwar's father looks at her, while her mother rests in bed. 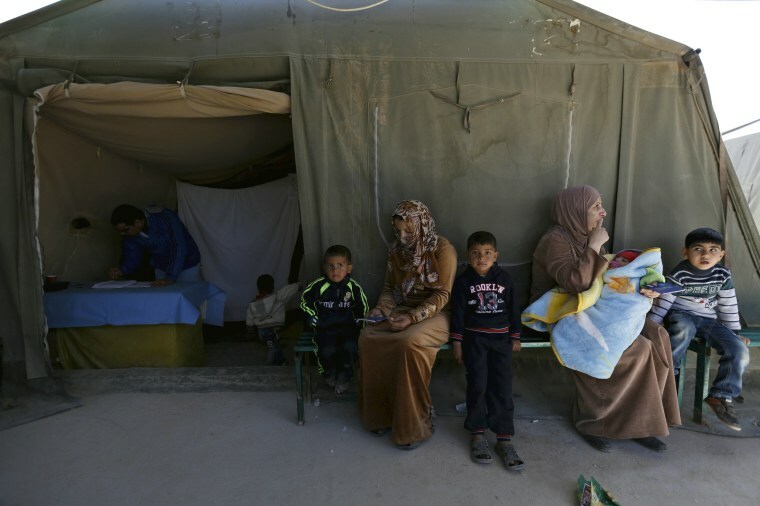 Syrian refugee women with their children wait to receive treatment at a children's clinic in a Moroccan field hospital in the Zaatari refugee camp on March 7, 2016. 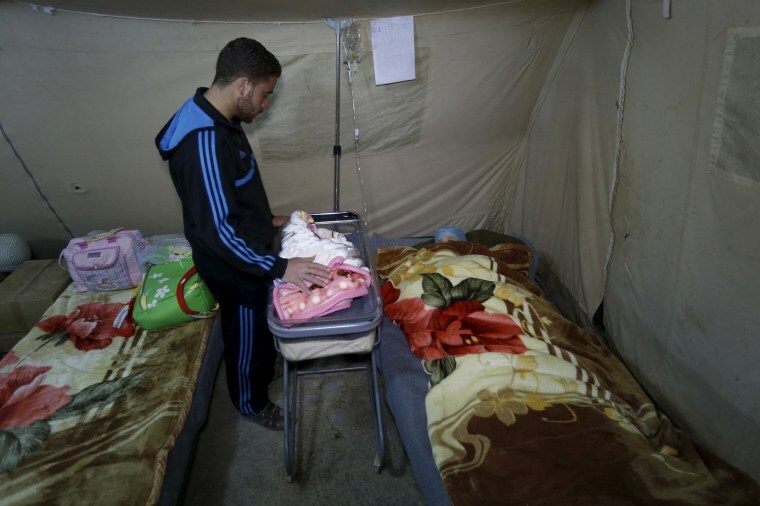 The Zaatari camp has two maternity facilities, one the Moroccan field hospital, with 60 beds, an operating room and a staff of 118 people. The other clinic, supported by the United Nations, has 24 beds, and is staffed by 39 Jordanian gynecologists, pediatricians, midwives and nurses. A Syrian woman smiles at her grandson, who was born in the Zaatari refugee camp, on March 7, 2016.